After just spending a year working for the Kansas City Chiefs, you better believe that I consider myself a little bit of a BBQ expert, after all, it is the BBQ capital of the world. Known for its slowly smoked meats smothered in a thick tomato and molasses based sauce, it’s arguable that it’s the best that it can get. After trying the majority of the staple there (Gates, Arthur Bryan’s, Joe’s, Jack Stack, Q39), I feel like I have a pretty good understanding of good BBQ. Below are what I believe to be some of the best in the Pensacola Bay Area. Hot Spot is personally one of my favorites because it’s so different. The sauce alone is a wonder in itself; it’s like sweet molasses and vinegar had a baby. Now I’m not a huge fan of vinegar in general, but it seems to balance and thin out the typical sweet, thick southern sauce that we all know and love to create a new treat. Hot Spot is also one of the only places in town that you can order burnt ends. Burnt ends are a traditional part of KC BBQ and they are the crown jewels, the holy grail, you get the point, they are good. If I had a choice, I’d eat this every time. Before you leave, make sure you grab a piece of the lemon cream pie. Miss Cheri’s (the owner) 85-year-old father makes them and they are heaven on earth. Blue Dot proves that it really is the simple things in life. This place is cash only and offers two things: Hamburgers with absolutely no cheese and ribs. Take note, the ribs are only offered on the second and fourth Saturday of the month, but boy are they worth the wait. Blue Dot is a no frill kind of place located in a bright blue building on Devilliers Street. You can’t miss it because of the usual line of people out the door. Doors open every day at 11 a.m. and close when the burgers are sold out (which typically is before 2 p.m.) This place is a favorite, both locally and nationally, one person even went on to say this, “There are only a few things in life you can count on; death, taxes and the Blue Dot.” Have I convinced you to try it yet? 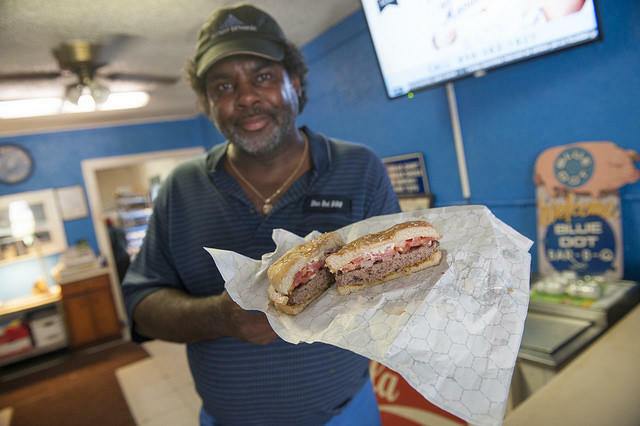 Nestled on the north end of town, Smokey&apos;s serves up local flavors in a small pit house. 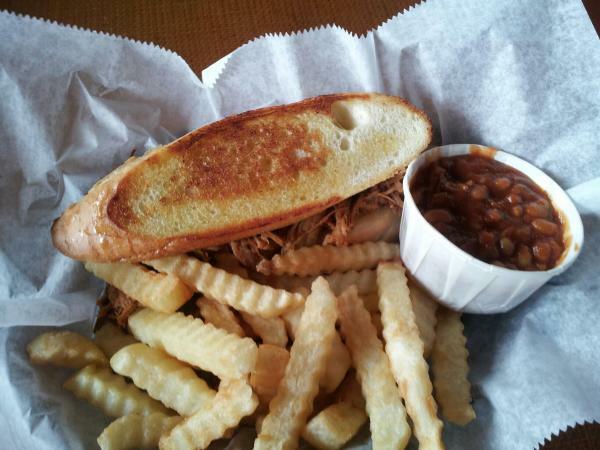 Famous for their true southern sauce, diners can enjoy fall off the bone ribs, pulled pork and crinkle cut fries. Be sure to grab a helping of the banana pudding before you head out the door. 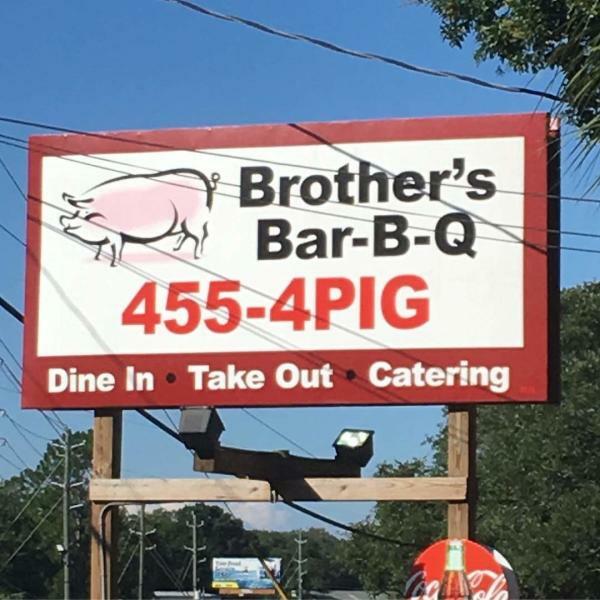 Brother’s offers down-home southern cooking; most people claim they stop because they smell the smokers as they’re driving down the road. 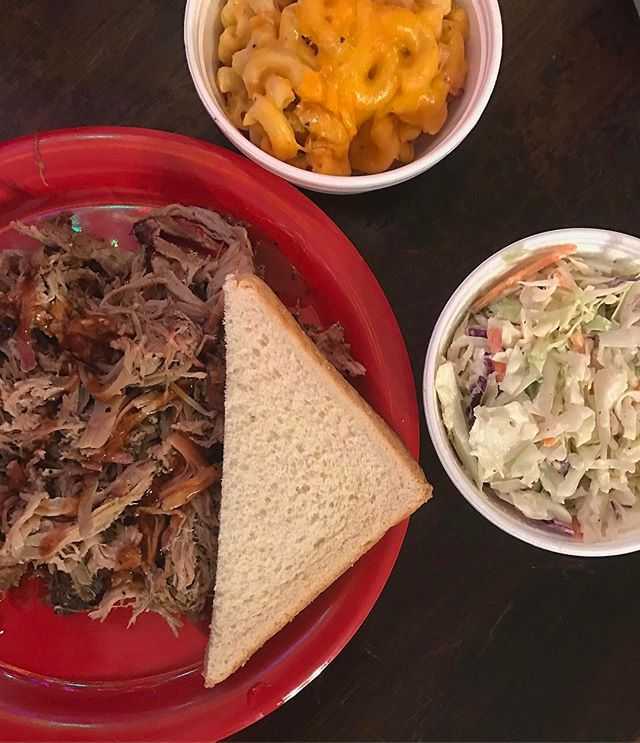 When paying a visit, I’d recommend getting a pulled pork plate (you can’t go wrong there) with a side of the grits and greens casserole and the baked beans. Grits and greens aren&apos;t like anything you’ve ever had before, home style grits with cooked onions and collards and all sorts of cheeses, YUM! This restaurant is everything that I love about BBQ. It’s smoky, sweet, fatty and just plain good. Owner/operator John Sperry knows just what it means to be a good pit master and is famous for his spicy brisket around town. The collards are tender and the mac is extra cheesy, really you can’t go wrong with anything. Before you leave grab an order of the key lime pudding, it’s different and refreshing, that’s why everyone likes it. 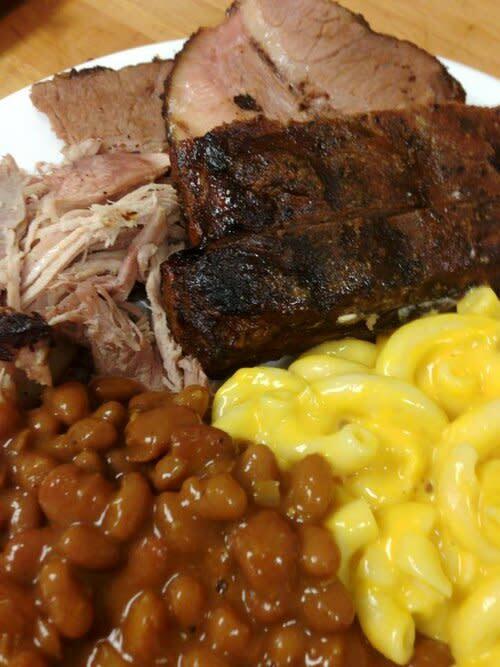 Have a favorite barbeque place that we didn&apos;t mention? Tell us in the comments!